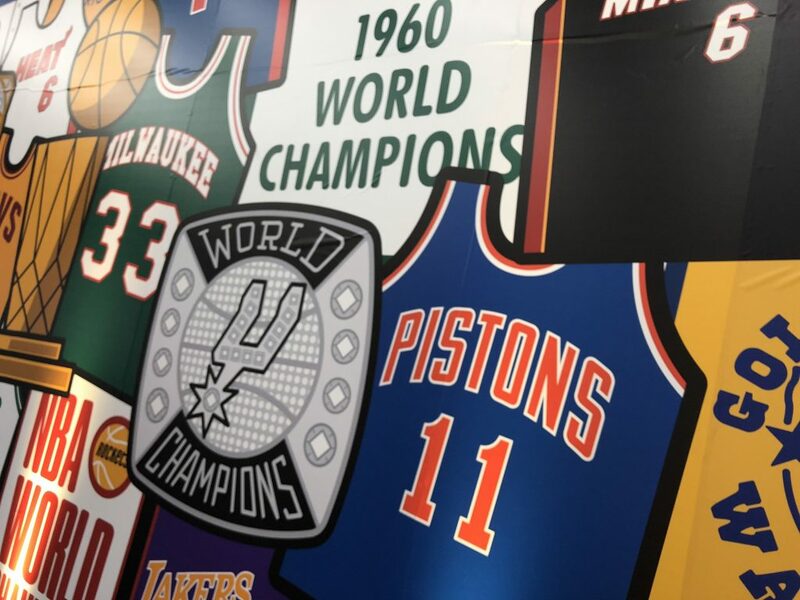 NBA playoffs has just started and there is an NBA Pop UP Event in Toronto called the “NBA Winner’s Corner“, presented by NBA Canada and Ontario Lottery Gaming and Corporation (OLG). This is a FREE event for the public, however, you must be 18+ years of age to get into the event. Mainly, I think OLG is a lottery corporation, so people must be of legal age to get into the event. Everyone can register online at NBAWinnersCorner.com to choose the date and time slot that they would like to attend. We went in the late afternoon on Saturday, April 13, prior to the Raptors playoffs game #1. Now, I am not sure if not many people know about this free event or if most people decided to stay home or go elsewhere to watch the Raptors and Leafs playoffs, there weren’t many people at this NBA Pop Up Event. 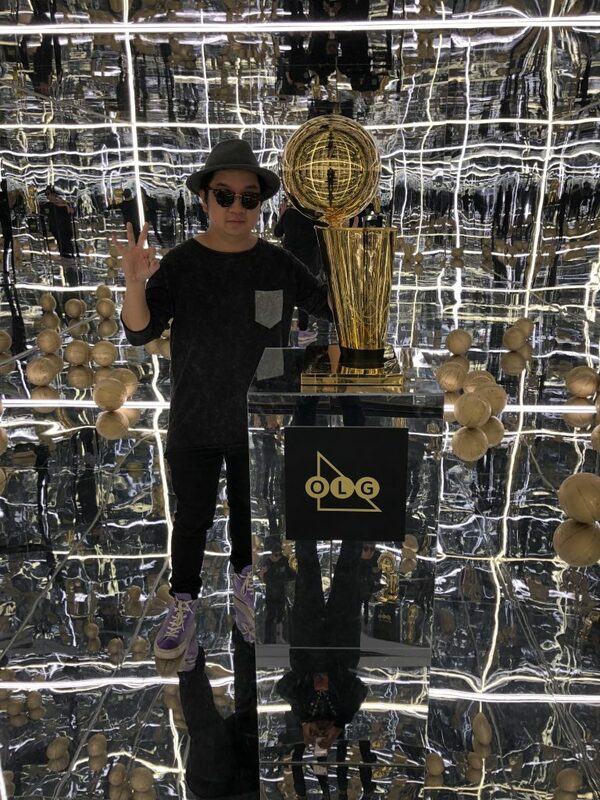 But for us, it was golden opportunity as we had all the time to roam around this event, check everything out with no lineups and we spent as much time as we can inside the Larry O’Brien Championship Trophy (NBA Championship) photo room. Personally, I think this event was fun but I wish it had more exhibits, more interactive stations and more stuff to do. Since it’s located at the 950 Dupont Street, the location isn’t super prime location. It’s away from everything, it’s away from the downtown core, where the Raptors fans are located. It’s away from the subway line. There are ample of street parking but the location maybe another reason some people may not show up. When I registered on the website, little INFO was given to the registrant of exactly what to expect from this event. When there is little INFO and with an inconvenient location, it may deter many people from attempting to check it out. Also, the registration requires you to choose a time slot, however, sometimes, people are running late or don’t know their schedules, asking the registrants to show exactly the exact time slot maybe a challenge. I think they should just provide the business hours such as 12:00 pm to 6:00 pm and let the public come anytime, I think that’s better. 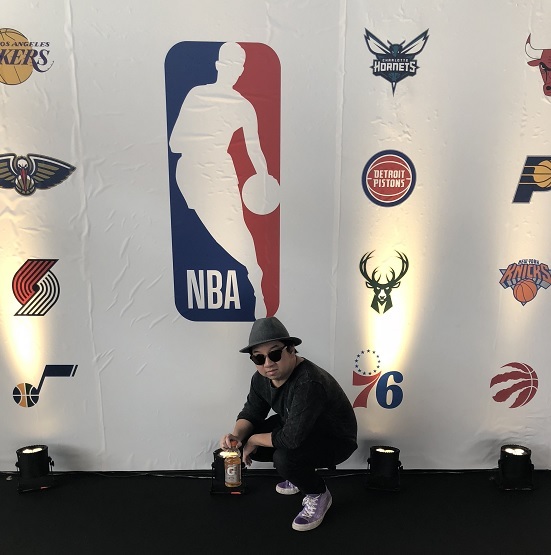 Furthermore, they mentioned NBA legends may show up at the event, but they didn’t mention who and they didn’t tell people the exact time they were going to show up, so it became a little bit mysterious with no reasons. And I am sure the host didn’t get as many people as they would have like when Robert Horry and Gary Payton shows up. Overall, if you are a die-hard Raptors fan or NBA fan and really love basketball, this Pop Up event is cool. 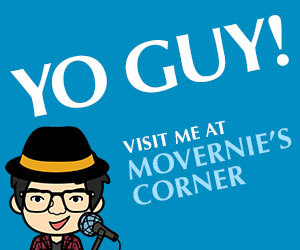 But I don’t think you miss out if you decided not to come. 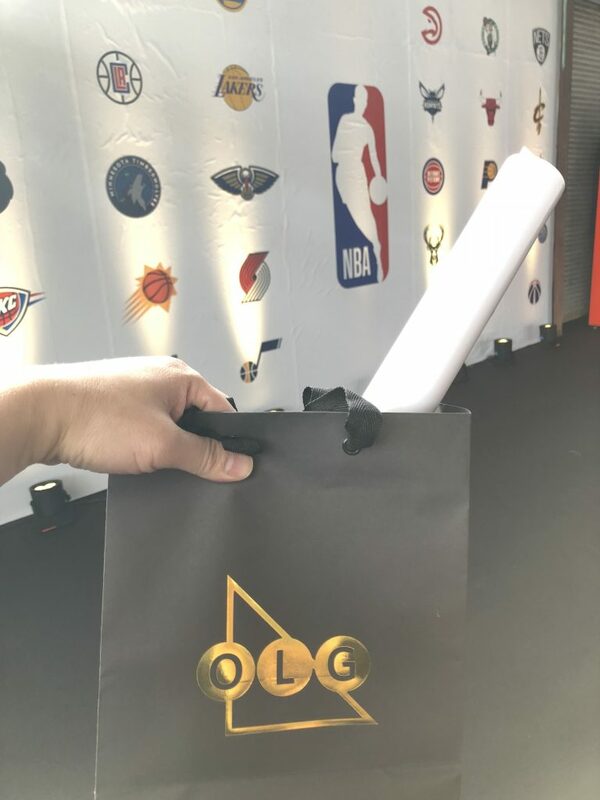 I think this is the 1st time NBA Canada and OLG collaborate, if they continue to host more events in the future, hopefully, they can improve from it. I see the potential, but they need to do a better job promoting this event, let people know which NBA legends are going to show up and last but not least, pick a better location that is closer to the subway line or closer to the downtown core. Overall, the event transformed an old warehouse into a basketball court, that was cool, it gives an awesome vibe! Tons of space, too bad, children can’t attend this event as it’s a 18+ event coz I really think children would enjoy this exhibit. 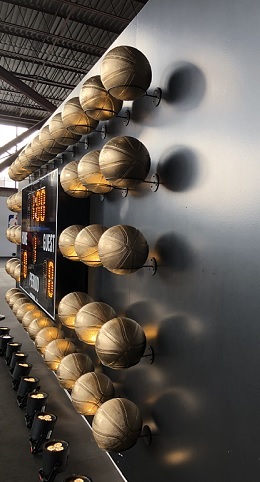 And although they have small tv screens around the space to show the Raptors playoff game, I think it would be cool if there is a big projection screen at the centre of the brick wall so people can watch the game from the bleachers that are already located on the court. A bit of a miss opportunity there in my opinion. Remember to take a gift bag on your way out. It’s not a super amazing gift bag per say but it does include a rally NBA towel; a mini basketball and a NBA poster. There was no signage about the gift bag, they were just placed on the ground, I just noticed one or two people picked them up and we picked up ours, otherwise, no one knows that it’s for the attendees. 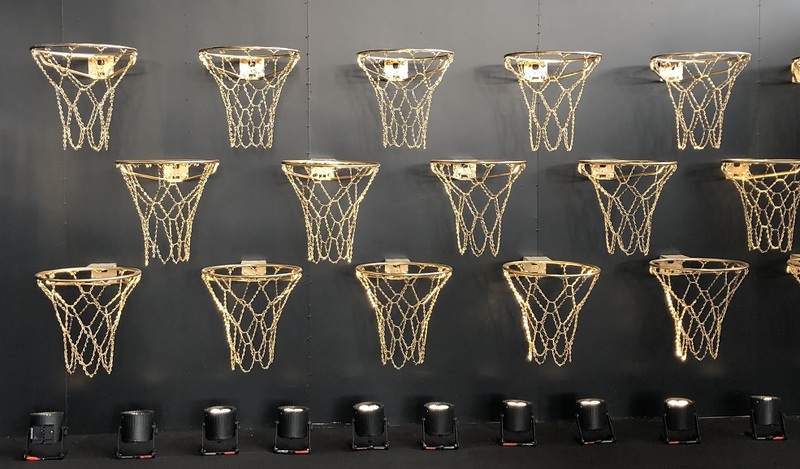 MoVernie TIPS: When you are at the NBA Pop Up Event, here are some of my recommendations of what you can do at the event to maximize your experience. There are no signage outside the warehouse to let you know the brick warehouse is where the NBA Pop Up Event is located. It’s a bit like SpeakEasy style. But that’s ok, there is a door and a security guard is standing inside the door to greet you. Bring your photo ID as this is a 18+ event so you have to bring your ID. Although they ask you to choose a time slot during the registration, but when we were there, they don’t really seem to care what time you signed up, they just care that you are 18+ with a photo ID. Make sure to ask the staff to give you an Ontario Lottery Brief Case card. Each one has a different briefcase number. When you go to the brief case section, show the friendly staff the number, he/she will open the brief case and you will see if you will win any prizes. 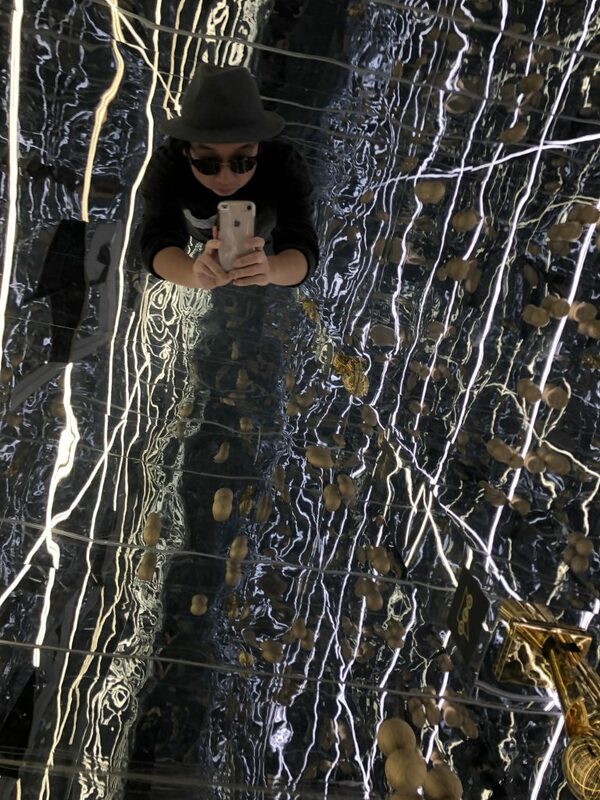 I enjoyed the Larry O’Brien Trophy room the most as it’s surrounded by all glasses from the ground, to the sides and up in the ceiling, it’s shiny and perfect to take photos, selfies, videos and boomerang. However, staff emphasize we can’t touch the trophy. Grab the Gatorade drink if you are thirsty, it’s FREE! Sign your life away with the registration before you get on the basketball court to take some shoots for your chance to win some prizes. You can literally buy LottoMax or Lotto 649 at the event. Hence, why you have to be 18+ and up. There is no exit sign, apparently, the spot where you pick up the mini gift bag and Gatorade is where the exit is located. I think showing the high warehouse ceiling is a cool spot. Tons of natural sunlight penetrates into the building. Take photos of you on the basketball court. Take photos and videos inside the Larry O’Brien Trophy. People will lineup to get inside one-by-one or in groups, depending on your preference. You probably have about 1 to 2 minutes max in there, but that’s really enough time. 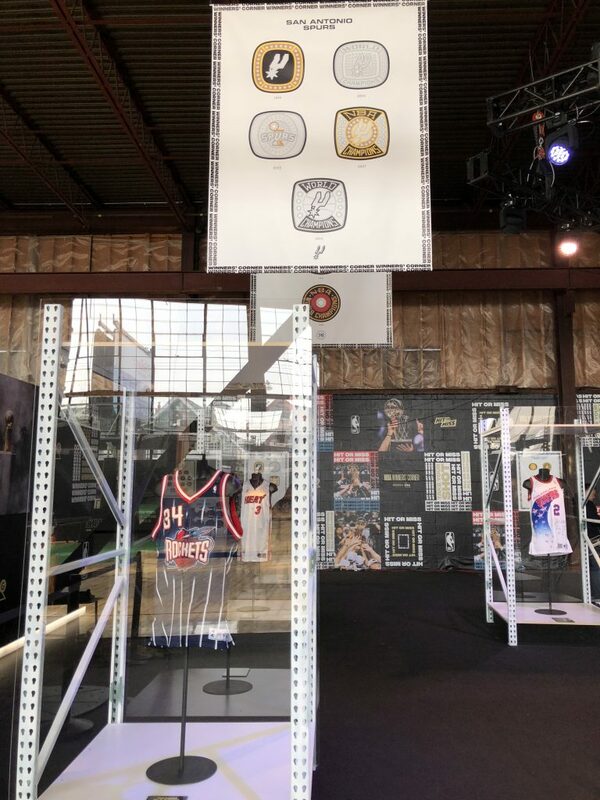 If you are at the NBA Pop Up Event, let me know your thoughts and experience. I love to hear about it.